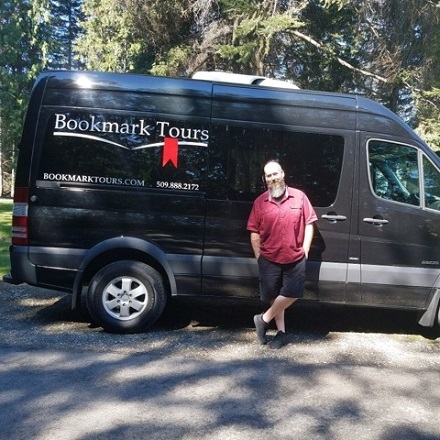 This voucher is good for a wine tour in the beautifulWenatchee valley. 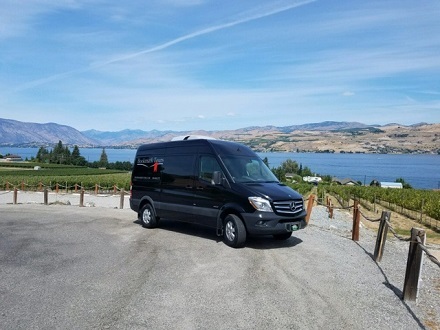 Up to four people can use this half price deal to tour these Wenatchee wineries in style with Bookmark Tours. If you have more that want to join you, they can add-on for additional cost up to 8 total. You will have ample time to enjoy each winery, taste, purchase, and have a great time with friends or family. MALAGA SPRINGS WINERY.......Located at the foothills of the basalt columns just outside of Wenatchee in Malaga WA. You are sure to enjoy the views and definitely the wine and it's rich history. 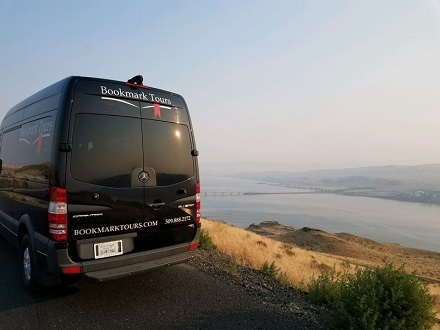 MARTIN SCOTT WINERY........The name speaks for itself, enjoy world class wines and views of the Columbia River Gorge while sitting on the outdoor patio and smelling they're handmade outdoor brick oven pizza. STEMILT CREEK WINERY.......With the owners being fourth generation farmers you know they know how to grow the perfect grape, come see for yourself just what experience can taste like.